Former President Theodore Roosevelt a dodged a (fatal) bullet 105 years ago today. Running as a third-party candidate he was shot point blank outside a Milwaukee hotel en route to a campaign speech. Fortunately, the bullet fired into his right rib by a deranged saloonkeeper was minimized by a sheaf of paper and an eyeglasses case. 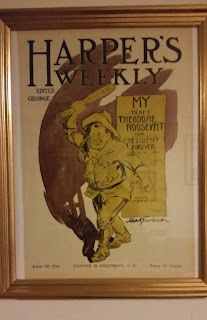 Roosevelt was bleeding but went on to deliver his speech, telling his audience that “it takes more than that to kill a Bull Moose”; the Bull Moose was the symbol of his new Progressive Party. He was later taken to the hospital, but the bullet was never removed. This was only one of the dramatic developments of the wild 1912 presidential election in which there were four notable candidates: incumbent president William Howard Taft, the Republican; Governor Woodrow Wilson of New Jersey, the Democrat; Roosevelt; and Eugene V. Debs, the radical union leader running on the Socialist Party ticket. Wilson won and Taft secured a dismal third-place finish. TR came in second with eighty-eight electoral votes and amassed twenty-seven percent of the popular vote. It was a strong third-party showing yet a disappointment for a former president who at age fifty-four still had a political agenda. The election created a split between the progressive and conservative wings of the Republican Party which essentially lasted for a century. 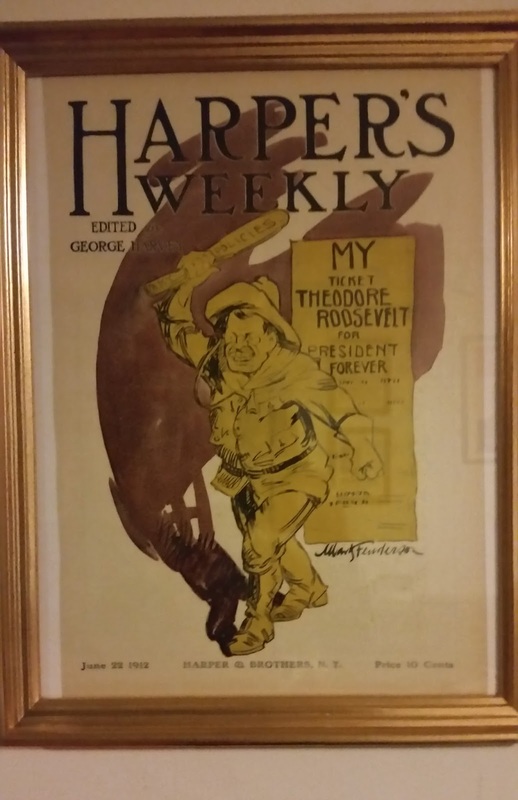 The platform of the party, identified as “A Contract with the People,” was a blueprint for progressive policies, many of which would be enacted during the administration of Franklin Roosevelt.